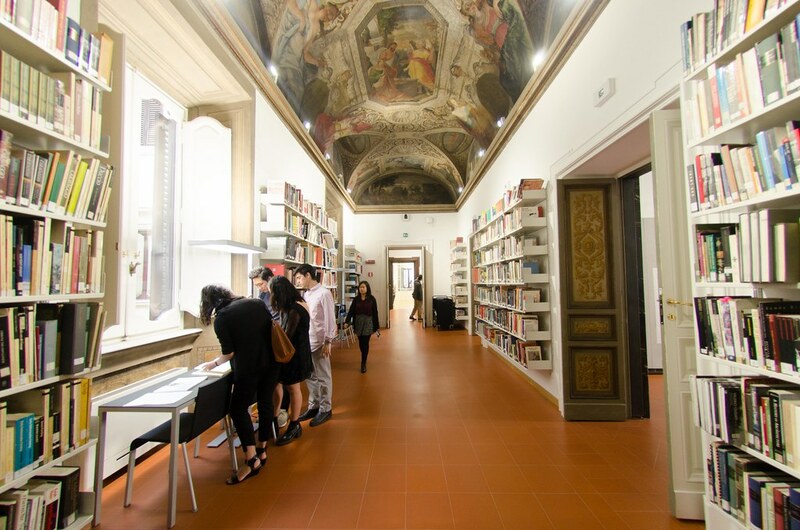 The library ceiling fresco runs the length of the room and the two architecture studios are accessible from the space. Exterior view of Palazzo Santacroce located in the historic center of Rome. Ornate spiral stairwell leading to the library. Move-in day for spring 2016 students. First architecture studio at the end of the semester, tidied for the student exhibition. From left to right, Jeffrey Blanchard, lecturer and academic program coordinator; Annalisa Maione, program coordinator; and Anna Rita Flati, administrative director of Cornell in Rome. Studio exhibiting work from the photography class. Guest lecturers were featured throughout the semester in the Santacroce lecture hall. 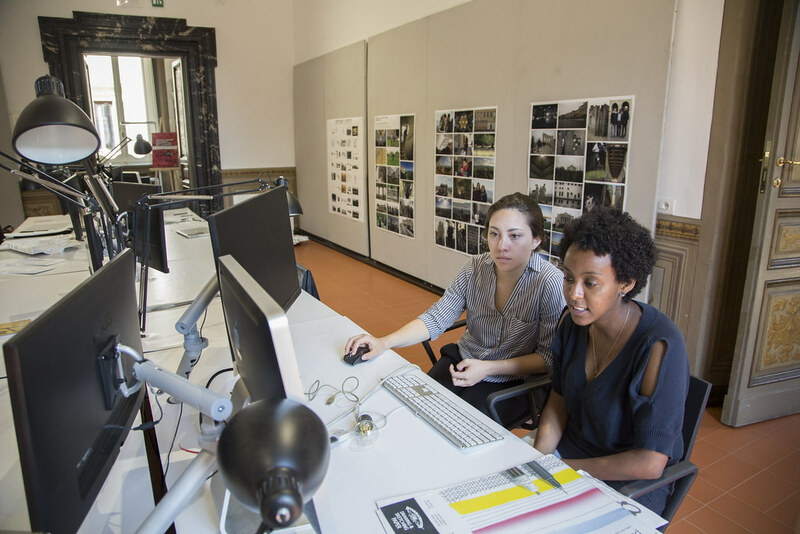 Students in one of the architecture studios. Flati teaches students how to make gnocchi from scratch in the kitchen at the palazzo. CRP students show off their work during the student exhibition in their studio space. Pin-up for the student exhibition. Guests attending the reception for the student exhibition. 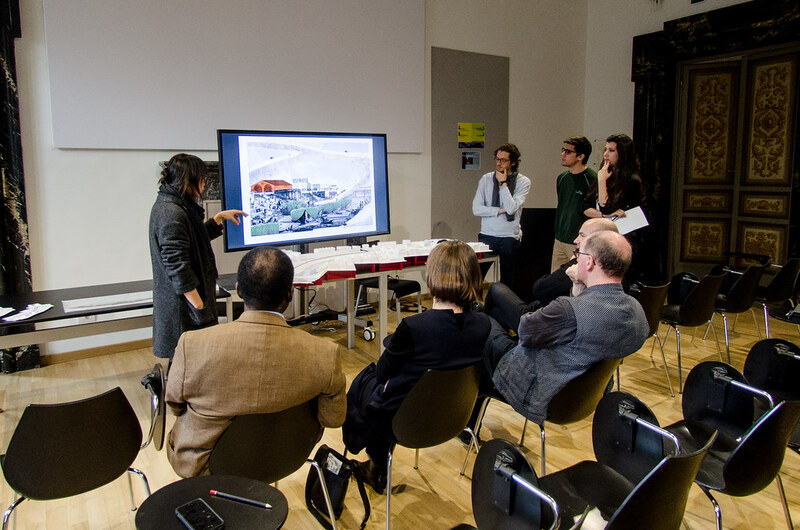 Guests viewing the student exhibition at the end of the semester. View from the balcony looking out to the city. 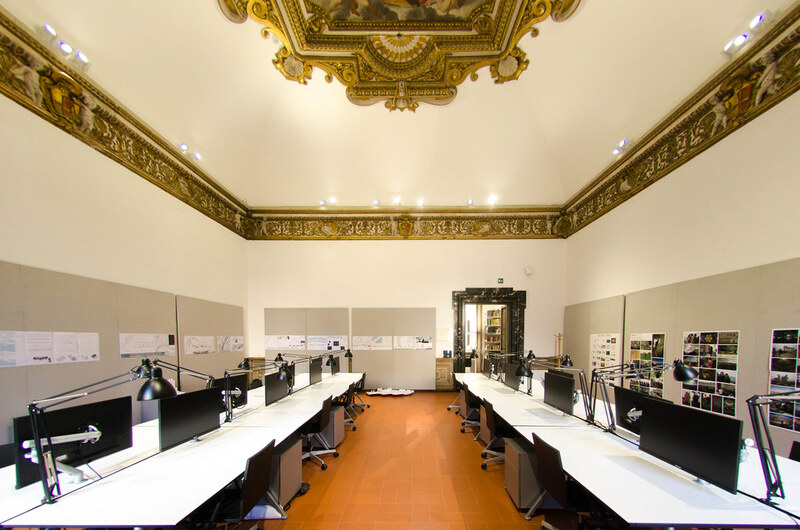 The library ceiling fresco runs the length of the room and the two architecture studios are accessible from the space. Exterior view of Palazzo Santacroce located in the historic center of Rome. Ornate spiral stairwell leading to the library. Move-in day for spring 2016 students. First architecture studio mid-semester. First architecture studio at the end of the semester, tidied for the student exhibition. 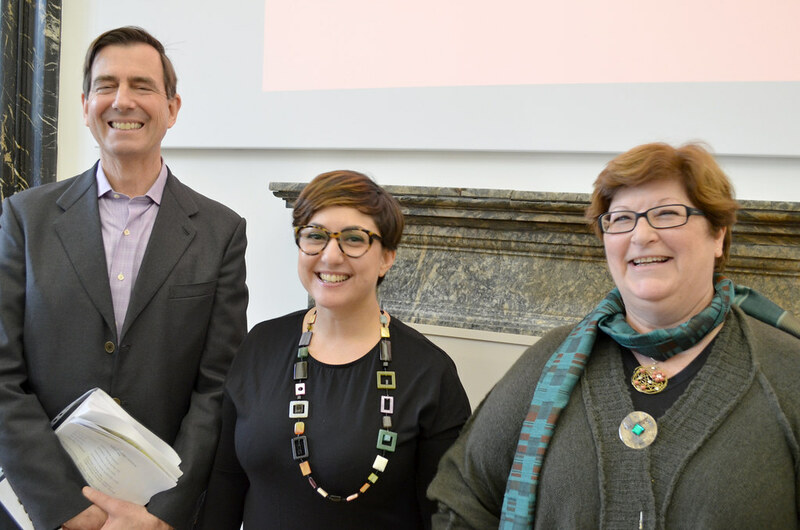 From left to right, Jeffrey Blanchard, lecturer and academic program coordinator; Annalisa Maione, program coordinator; and Anna Rita Flati, administrative director of Cornell in Rome. Studio exhibiting work from the photography class. 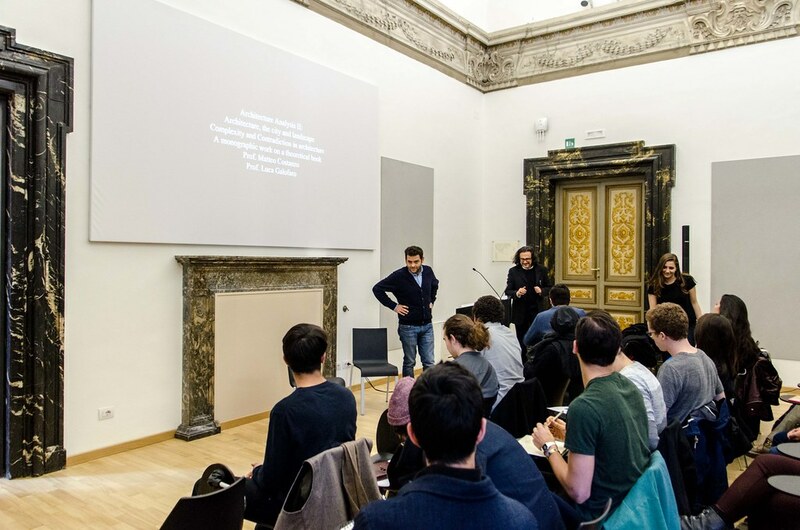 Guest lecturers were featured throughout the semester in the Santacroce lecture hall. 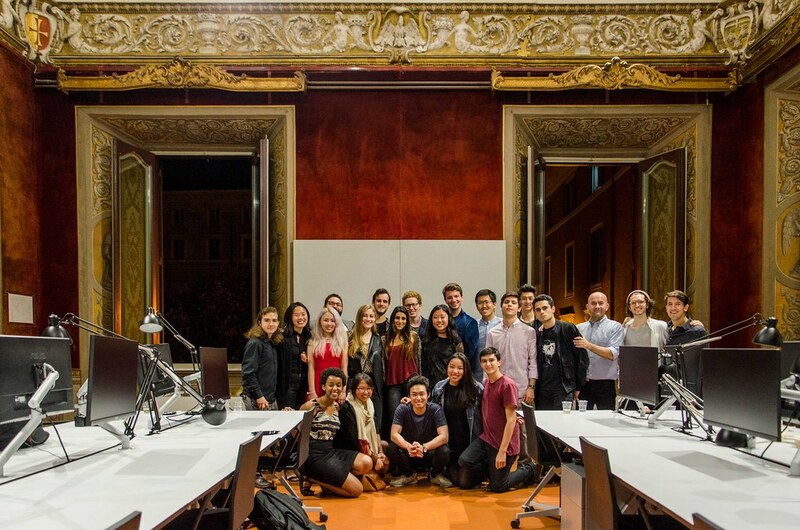 Students in one of the architecture studios. 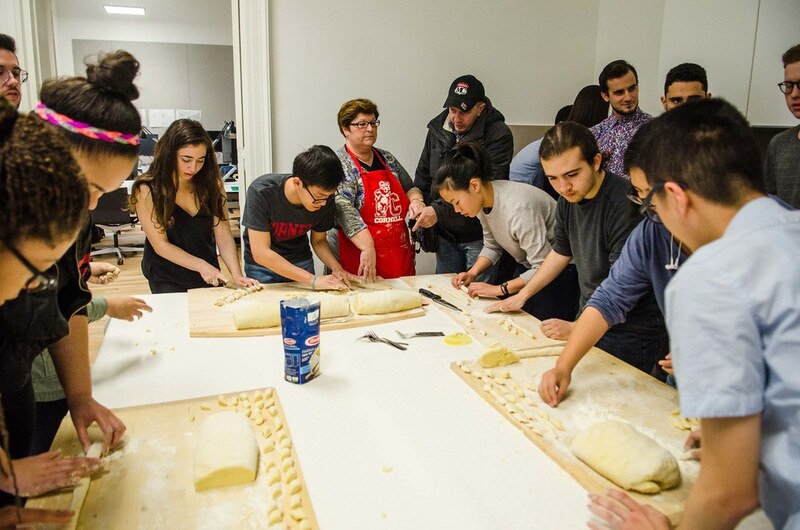 Flati teaches students how to make gnocchi from scratch in the kitchen at the palazzo. Student critiques. 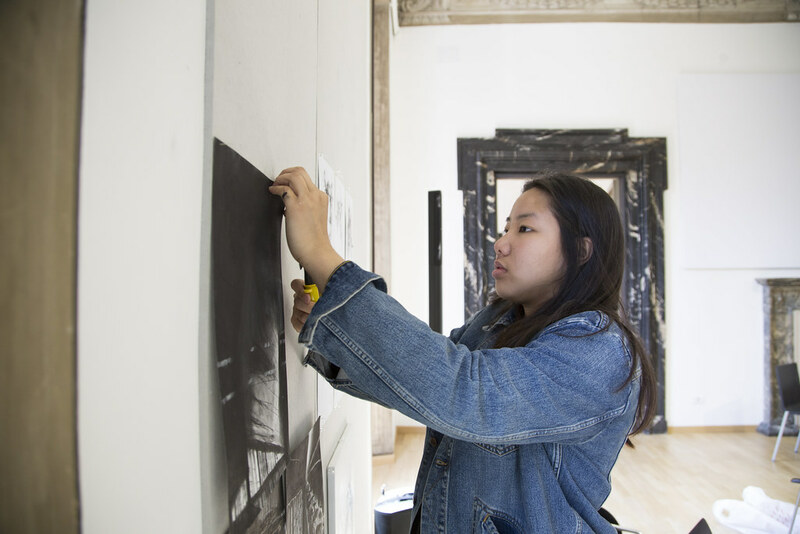 CRP students show off their work during the student exhibition in their studio space. Second architecture studio mid-semester. First architecture studio at the end of the semester, tidied for the student exhibition. Pin-up for the student exhibition. Guests attending the reception for the student exhibition. 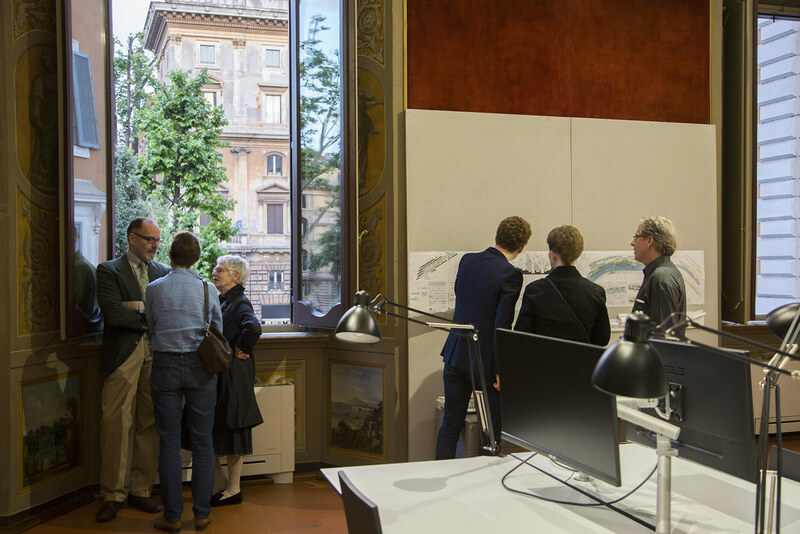 Guests viewing the student exhibition at the end of the semester. 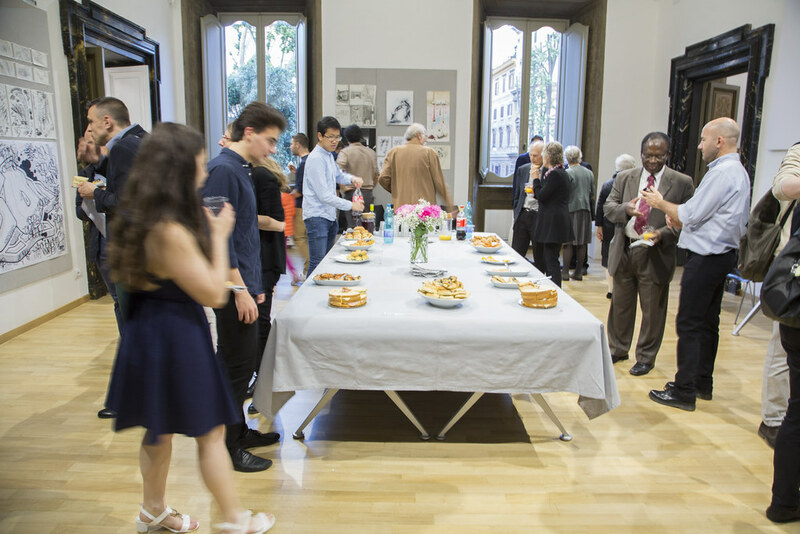 Guests attending the reception for the student exhibition. View from the balcony looking out to the city. 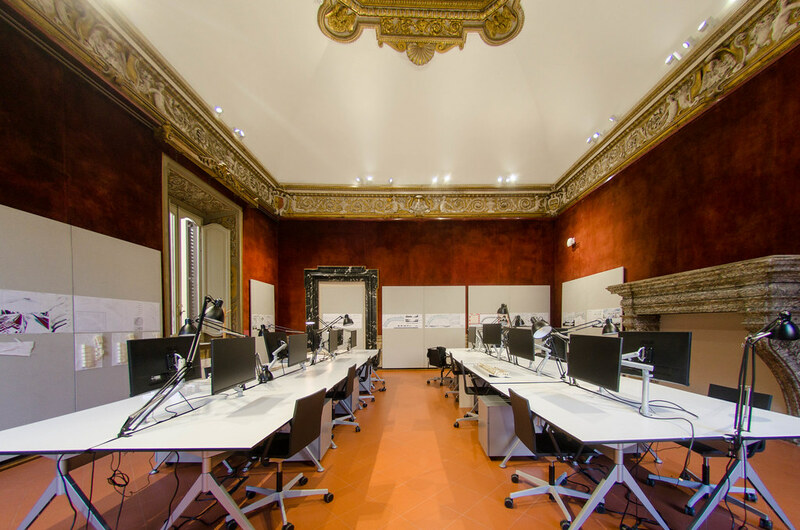 The program is based in Palazzo Santacroce, a facility that is second to none. 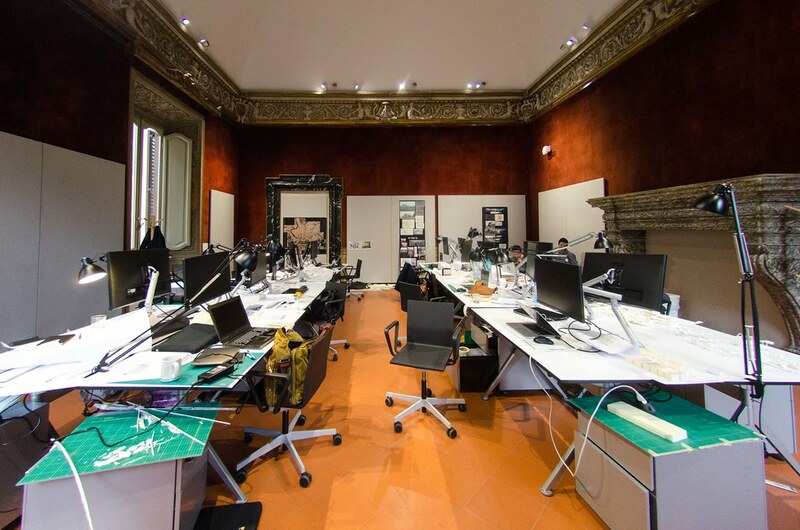 Ample studio space, a library, a materials shop, and tech support are all housed in a spectacular 17th-century villa. On-site program staff with decades of experience ensure an unparalleled degree of personal care and attention to students’ needs. The palazzo was originally constructed for the Santacroce family who held various titles of nobility and produced four cardinals, one of whom introduced tobacco from Portugal to Rome, where it was called "erba santacroce" and was attributed with therapeutic properties. Palazzo Santacroce was designed and constructed under the direction of three architects: Carlo Maderno, the celebrated architect of the façade and nave of San Pietro in Vaticano (1598–1602); Francesco Peparelli (1630–40), and Giovanni Antonio De Rossi (1659–72). 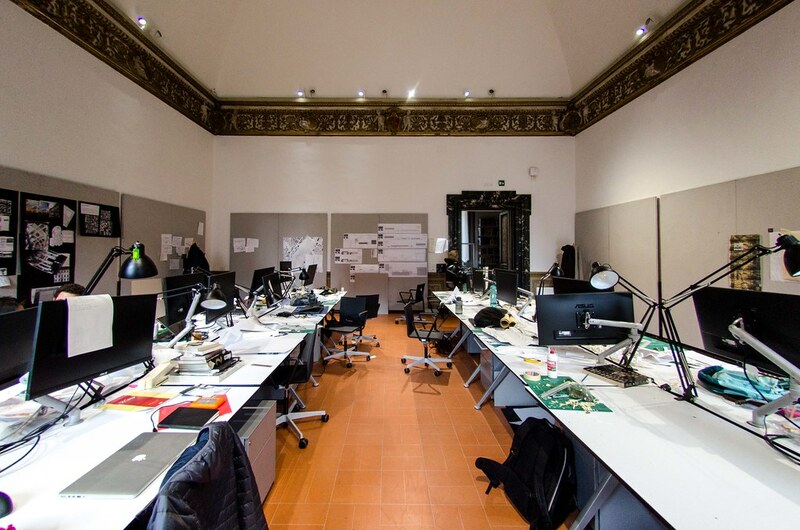 Cornell in Rome's space includes the entire front of the second floor of the palazzo, with 10 large windows and several balconies overlooking a 19th-century urban park, as well as other rooms facing internal courtyards. 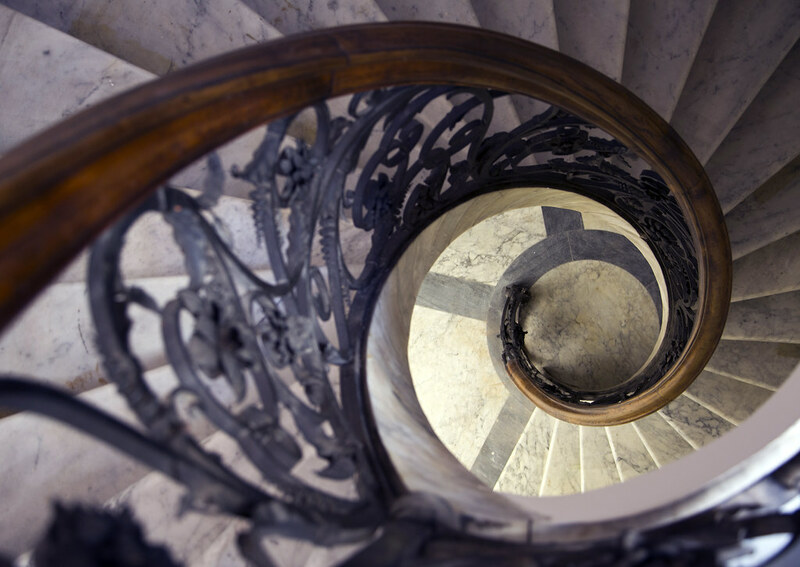 A private ground floor entrance leads to a 19th-century spiral staircase, which opens to the program's library that has been installed under a frescoed vault attributed to G. B. Ruggeri (circa 1640). Two of the three large salons have high vaults with central panels of fresco paintings surrounded by gilded stucco frames. Also attributed to G. B. Ruggeri, one of these vault frescoes is an allegory celebrating the Santacroce family, whose cardinalate coats of arms decorate the cornice separating wall zone from vault. The surrounding neighborhood serves students' daily needs, with a vast array of shops, restaurants, and markets. 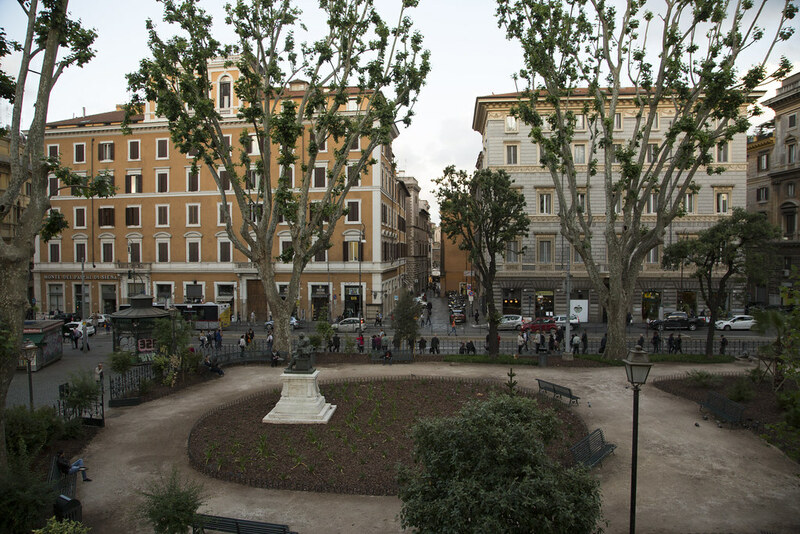 Cornell in Rome provides furnished and well-maintained apartments of varying sizes in popular neighborhoods of Rome. 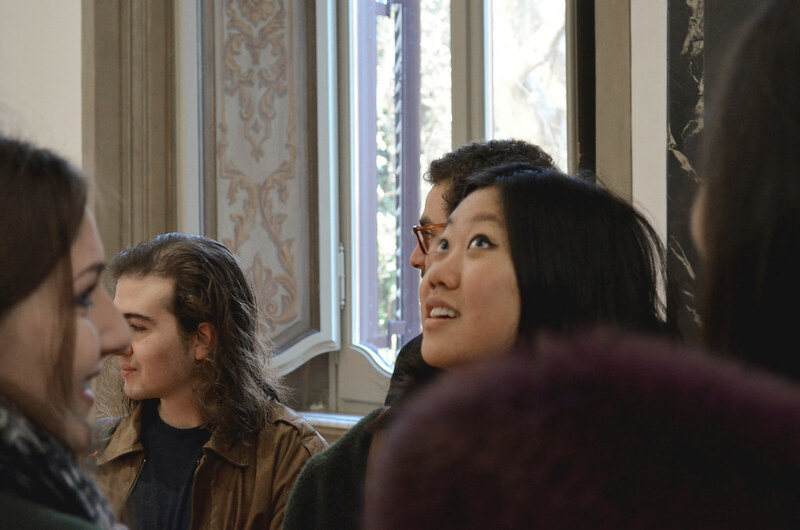 Distributed throughout the Centro Storico (historic city center) and Trastevere in characteristic Roman apartment buildings that date from the late 1800s and early 1900s, these apartments give students the opportunity to experience typical Italian neighborhoods, as well as the chance to discover all the best places for pasta, pastries, and gelato. 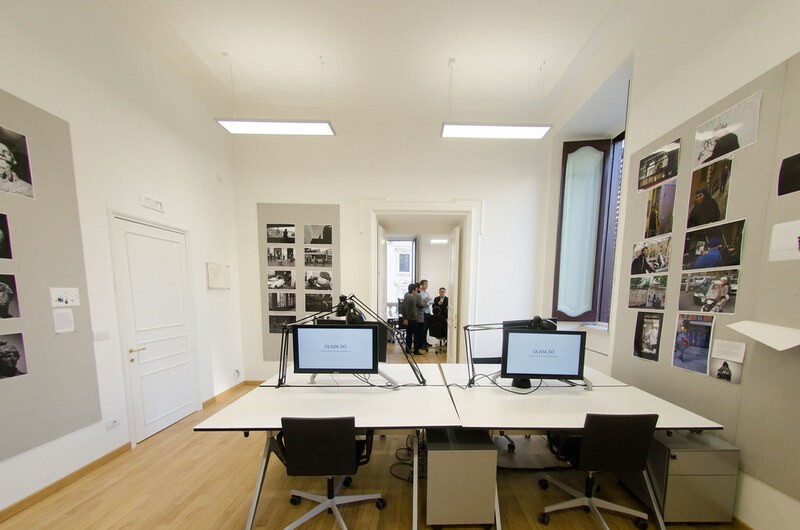 All apartments are located within a five- to 20-minute walk from classes and studio spaces at the Palazzo Santacroce and are close to public transportation. Each apartment is completely furnished with kitchen equipment and utensils, laundry equipment, linens, blankets, and pillows, and is regularly checked throughout the semester by program staff members to ensure that everything remains in good working order. 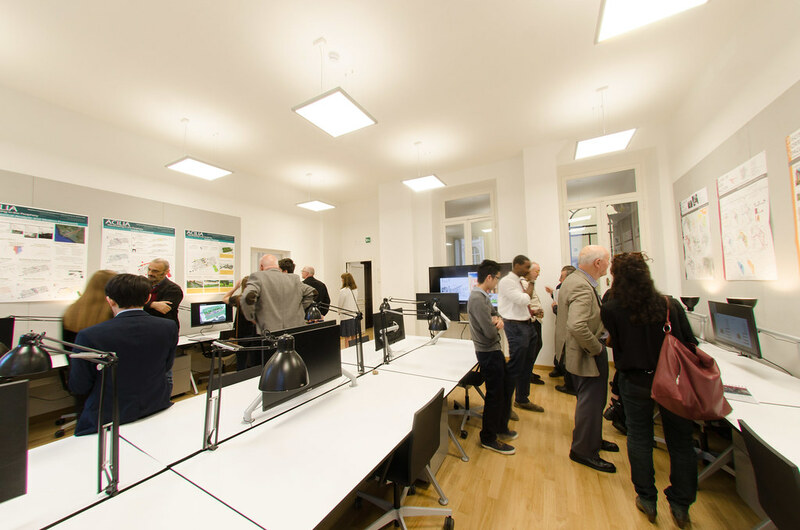 All undergraduate participants are placed in Cornell in Rome housing. Housing assignments are made in the Ithaca office before departure. 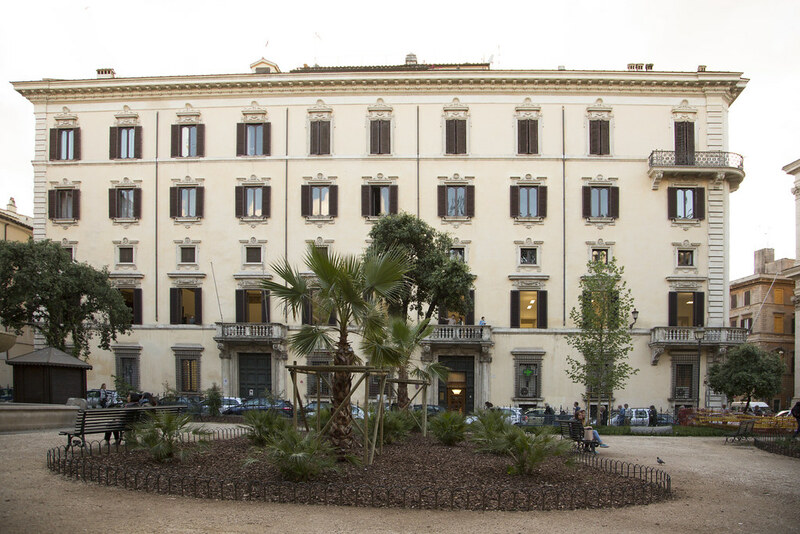 Given the limited number of single rooms available in the apartments used by Cornell in Rome, graduate students are encouraged to arrange their own housing. There are many rental agencies that can assist with locating and renting a suitable apartment. Additional housing resources will be provided after acceptance into the program.